At Arlington Machine and Fabrication we believe in providing our customers with quality parts and dedicated service that they can depend on. 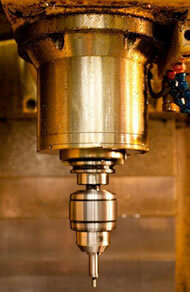 We specialize in CNC machining, general machining, welding and fabrication. We have the ability to work with all metals and we offer on-site welding repair, plant maintenance, as well as 24 hour emergency service. Our experienced and professional staff understands the importance of providing our customers with the very best in precision parts with fast turn-around time. Whether it is a highly detailed part with a tight tolerance or a quick and simple weld, Arlington Machine and Fabrication is always on call for your business.